Magna support to resolve your charange about magnetic problems through the proccesing technology of magnetic products and magnetic field simulation for the customer’s circuit design. 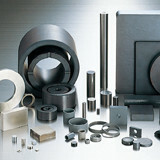 A magnet with a difference between magnetic properties and physical properties will have distinctive shapes and forms. 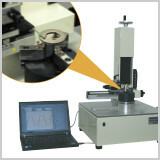 Using a magnetic field measurement device, data of magnetization properties such as surface inductive flux are analyzed.